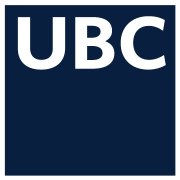 The University of British Columbia is a global centre for research and teaching. Business Foundations via edX 3-5 hours a week , 6 weeks long 3-5 hours a week , 6 weeks long Self paced No reviews yet. Business Communications via edX 3-5 hours a week , 6 weeks long 3-5 hours a week , 6 weeks long Self paced No reviews yet. Organizational Behaviour via edX 3-5 hours a week , 6 weeks long 3-5 hours a week , 6 weeks long Self paced No reviews yet. AP® Psychology - Course 0: Introduction via edX 1-2 hours a week , 1 weeks long 1-2 hours a week , 1 weeks long Self paced No reviews yet. Marketing5502x: Innovation and Problem Solving through Creativity via edX 3-4 hours a week 3-4 hours a week 20th Oct, 2015 No reviews yet. 1st Feb, 2016 No reviews yet.